Lack of company inclusion is the biggest challenge for contractors in Hong Kong, according to the latest Hong Kong Contracting Survey from international recruiter Robert Walters. The survey polled 400 professionals who are contracting or have been in a contract position before, of which 35% considered the lack of company inclusion as their key challenge at work, followed by no job security (33%). Moreover, a majority of contract professionals (78%) felt that they were not being treated in the same way as permanent employees, and 8% have left a contract early as they were unable to integrate with the wider team. As organisations have a growing need for contractors, it is important for companies to improve contractor engagement to better leverage the contingent workforce. Contractors are also less worried about job security, but are more concerned about the lack of company inclusion. 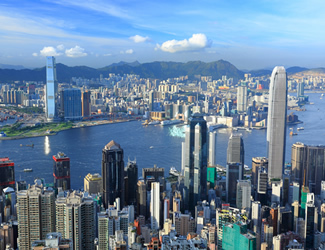 The differences in 2015 and 2016 indicate a maturing contract job market in Hong Kong. Comparing the results in 2015 and 2016, although contractors still prefer longer contracts of 6 months or more, they are becoming more open to short-term contracts of 1 to 6 months. Higher pay is no longer considered as the primary benefit of contracting; instead professionals value the opportunity to gain new skills by taking on a contract role.